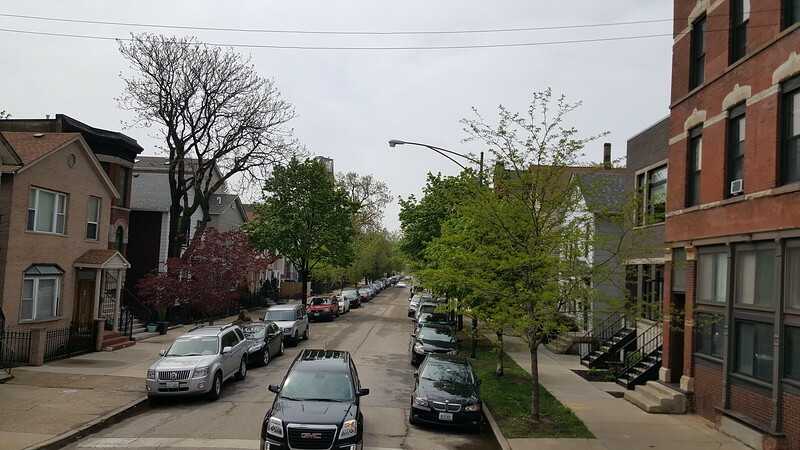 Pilsen is a neighborhood of Chicago located on the Lower West Side of the city. 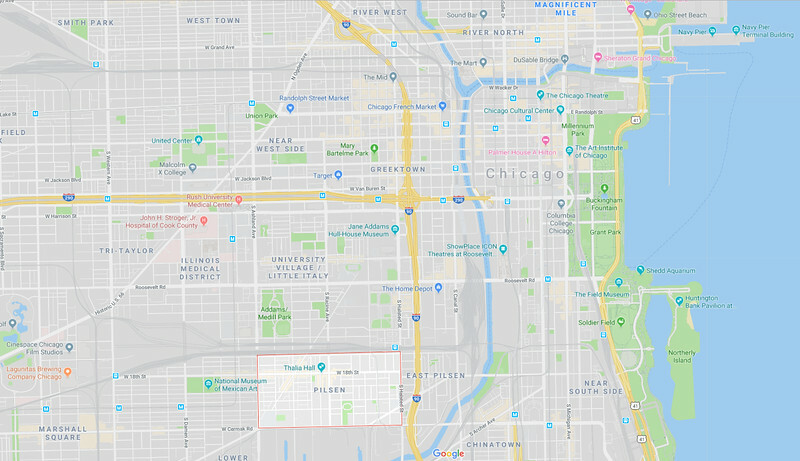 Historically a first-stop neighborhood for American immigrants, following the Great Fire of 1871, Pilsen was initially settled by Czech immigrants who named the district after Plzen, a city in what is now the Czech Republic. Here, immigrants build a community of mixed-use buildings, houses, factories, and stores in close proximity to each other, constructing many buildings based on the styles of their homeland. Its geographic isolation played a significant role in the development of a 19th century self-sufficient enclave. By the turn of the century, it had become known as the Bohemain American community in the United States. 1. 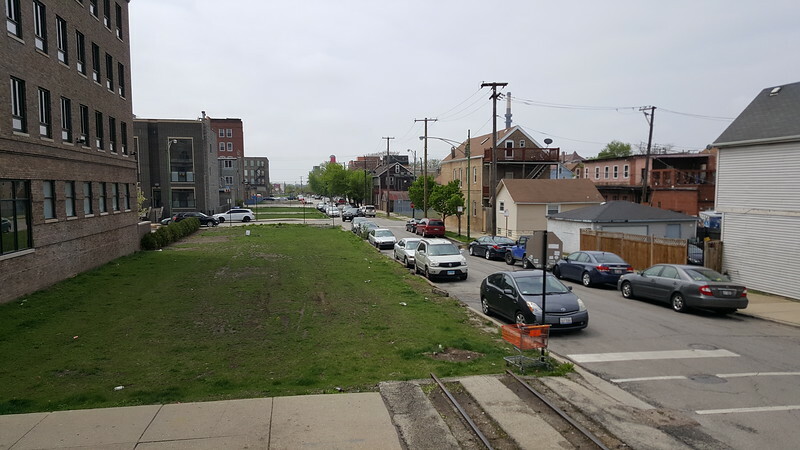 The former Chicago, Burlington and Quincy Railroad (CBQ) tracks that ran along Sangamon Street to the old Armour Elevator Company yard along the South Branch of the Chicago River. Long term plans call for this abandoned railroad to become a part of the El Paseo Trail. 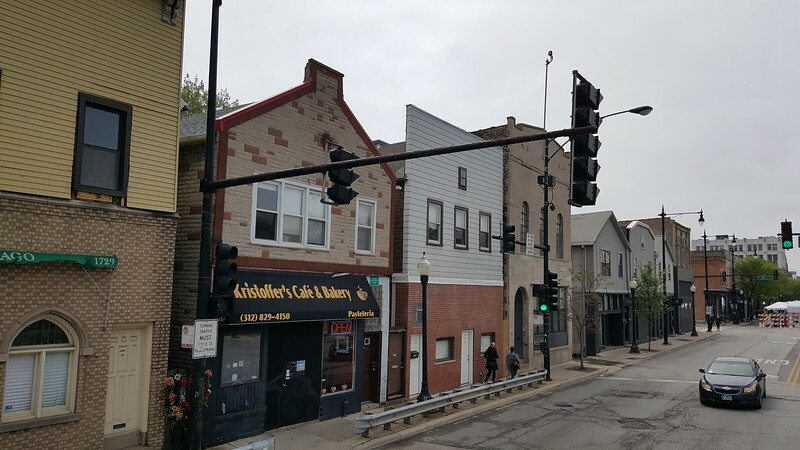 Another unique characteristic of Pilsen is that many of its oldest buildings pre-date the City of Chicago raising its streets during the mid-19th century. In its quest to implement the country’s first comprehensive underground sewer system, in areas of the city that were too low, streets were raised between four and fourteen feet. 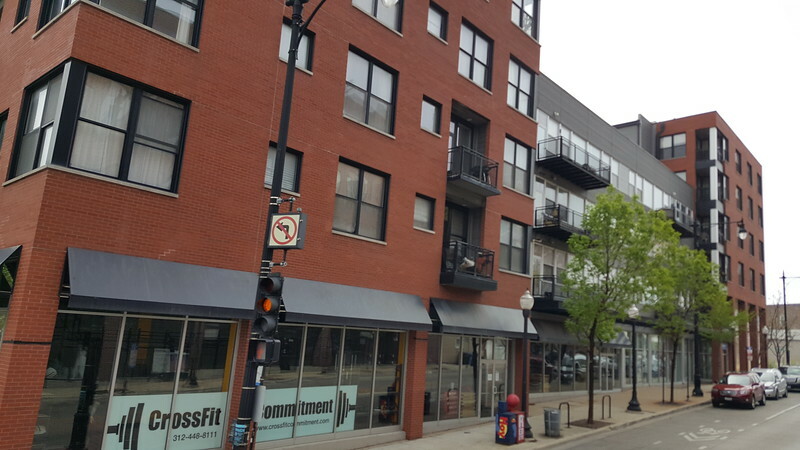 Rather than bearing the cost of raising their buildings to match street level, many property owners retrofitted their second floors into street level uses and entrances. 2. The former Fairbanks Morse & Company Scales warehouse building along West 19th Street can be seen in the distance. In 1893, the company was the first to successfully market gasoline engines. Urban renewal in other areas of the city would lead to the neighborhood becoming a desired location for for Mexican residents during the mid-20th century. After decades of serving as a port of entry for Mexican immigrants, Pilsen is in the midst of change. 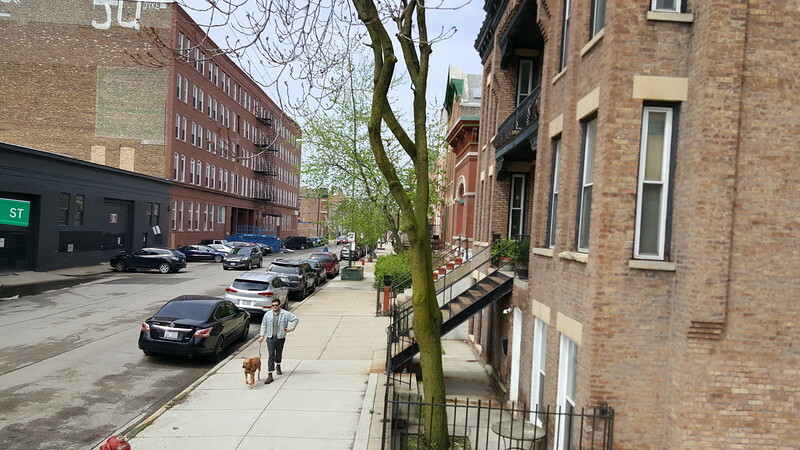 What is known as one of Chicago’s most unique, vibrant working class neighborhoods is in the process of gentrification. This begs the question, can a neighborhood evolve without losing the defining historical and cultural features that make it a special place?